Jigsaw NI provides a Chair-based Activity session each week in Divis CC on Wednesday's. Currently service users attend the chair-based activity class every week conducted by a qualified instructor and with the assistance of volunteers and carers. 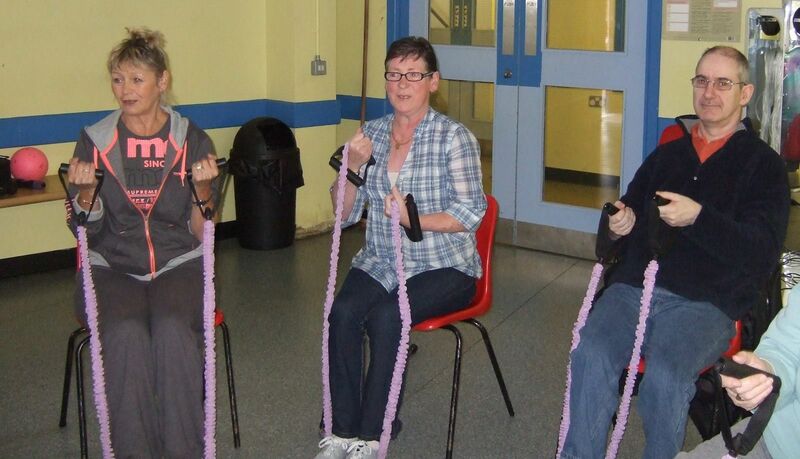 The chair-based activity not only gets the service users active, but is accompanied by relaxation techniques and target games, which all the service users really enjoy at the end of their sessions.